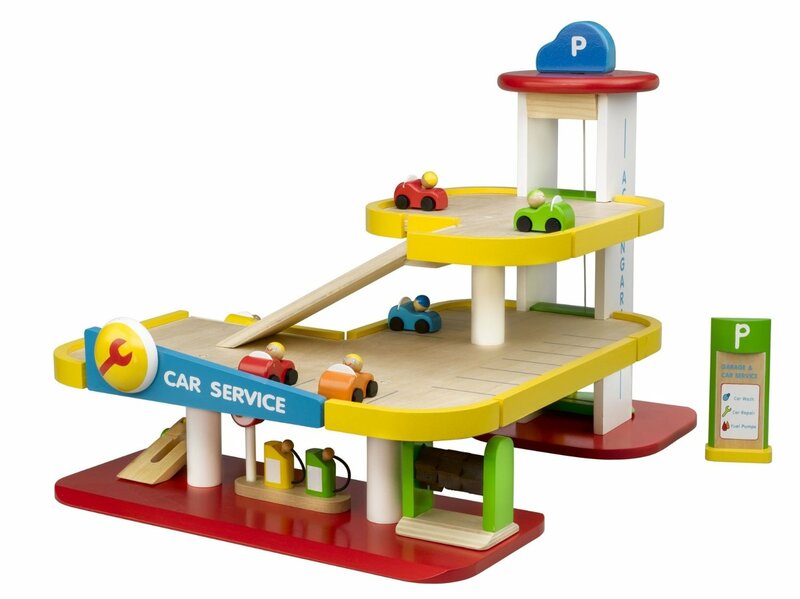 Every year, companies develop new wooden play toys and games for education. Most of them feature intricately-designed plastic pieces. Some come with all the bells and whistles. Many have been designed for a few specific purposes. While these toys may play a role in your child’s education, you can end up spending a lot of money, but not receiving a lot of educational value. Wooden toys, however, often have a lot more to offer children than the latest trendy educational toys. Wooden toys give children the ability to take control. While some wooden toys come in the shape of vehicles, food, or common household items, they still encourage children to use their imaginations to incorporate them into learning and play. Other wooden educational toys come in basic shapes, such as sticks, blocks, arcs, triangles, and circles. These basic shapes allow children to really explore their uses and come up with creative ways to use them in different subject areas. For example, children can experiment with physics by building different structures with the wooden toys or learn about geometry by manipulating the toys to create their own geometric patterns. While learning resources can provide you with ideas for using wooden toys to educate your child at home, they’re just a starting point, a way to pique your child’s interest before letting them come up with even more creative uses. Younger children in particular can fit virtually any object into any scenario. Since most wooden toys don’t come with a pre-conceived purpose, they encourage children to stretch their imaginations even further. As children engage in imaginative play, much of it will trend toward real-life scenarios. For example, children may have wooden toys in the shape of food and common household items to use as they play a game of house or grocery store. Even if children just have basic shapes, they may begin to use wooden toys and their imaginations to build real-life skills. For example, wooden sticks may come to represent currency as they buy and sell other wooden objects. Red circles may become strawberries and blue circles may become blueberries as they make a wooden fruit salad. When children play with wooden toys, they supply all the voices, alarms, and other sound effects, rather than listening to the toy. This allows children to be in control of what they do with the toys and to keep their minds clear as they think through different scenarios or solve problems. While some children really enjoy toys with all the bells and whistles, the noises and electronic features can interrupt a child’s thinking process or limit how far a child’s imagination can go by boxing them into specific ways to play with the toy.